Tender pulled beer flavoured chicken, with a zesty lime and chili marinade, wrapped up with crispy veggies in a soft warm tortilla. Put you oven at 180°C (or 160°C for fan assisted ovens). Pull back the chicken leg skin, and rub in the Old El Paso™ seasoning mix all over the chicken. Cover back up with the skin, and place in a shallow dish. Mix together the olive oil, lime juice and beer. Pour over the chicken. Sprinkle with the lime zest, sea salt, black pepper and red chilli. 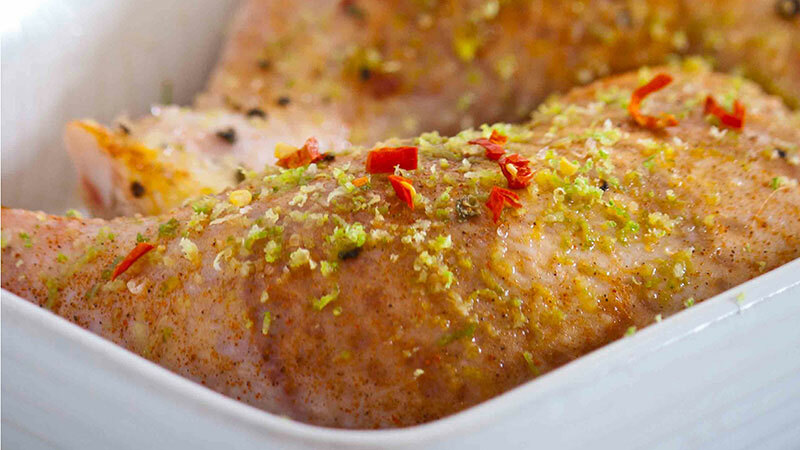 Tip: leave to marinate for 2 hours or overnight to get a more distinct flavour. Put chicken legs into the oven for about 40-50 minutes. Remember to turn the chicken every now and then, and to test that the juices run clear when cooked. Don’t be afraid to cook them for longer. Pull the chicken off the leg and shred into small pieces. Quickly stir-fry the onion, pepper and courgette for 2-3 minutes. Add the shredded chicken and some of the excess liquids from the dish to the pan and fry with the vegetables for another 2-3 minutes until chicken is completely cooked through. 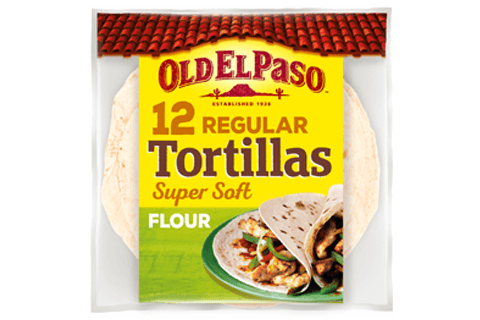 Warm the Super Soft Flour Tortilla following the instructions on the pack. Ready to serve! Grab a tortilla, pop some salad leaves in the middle, spoon over the chicken and stir-fried veggies, add a dollop of salsa and soured cream. Roll it up and tuck in.